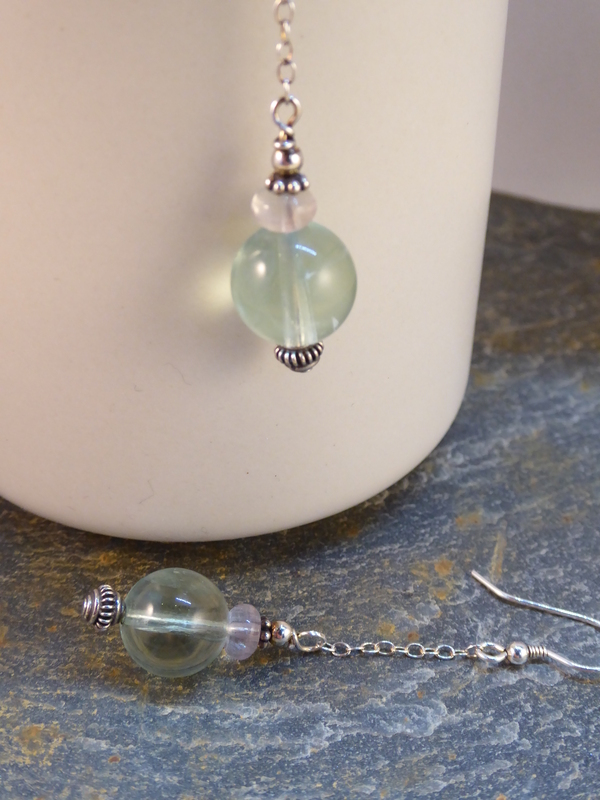 A pair of earrings on silver chain with silver hooks. 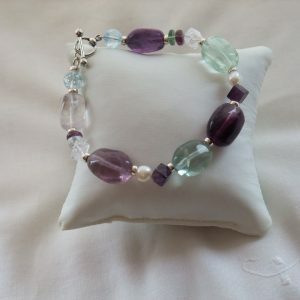 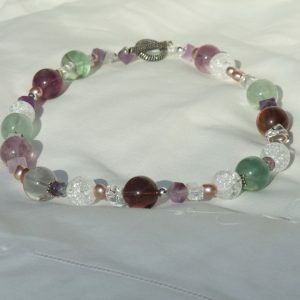 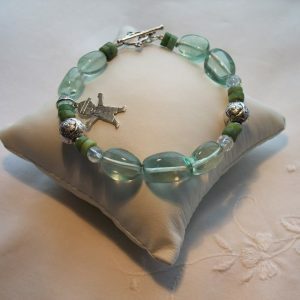 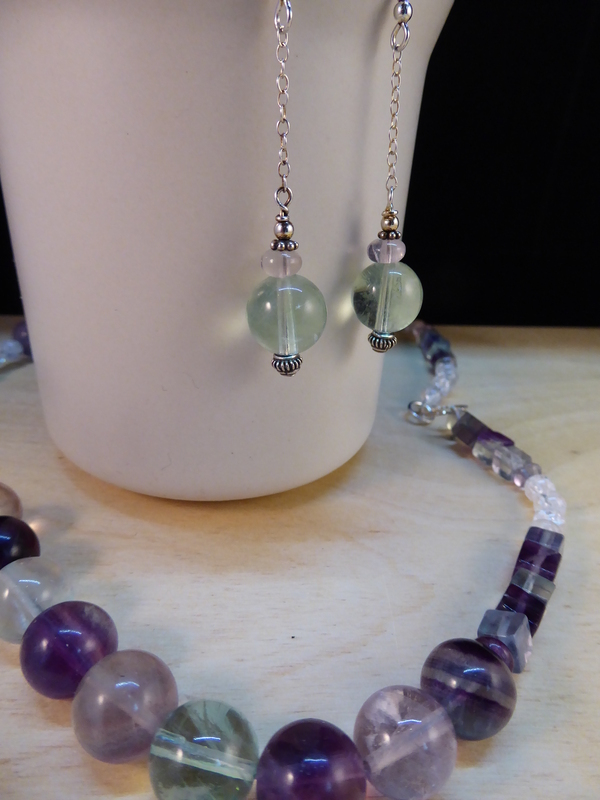 Beautiful transparent green 14mm round bead fluorite and a lilac fluorite button with decorative silver beads. 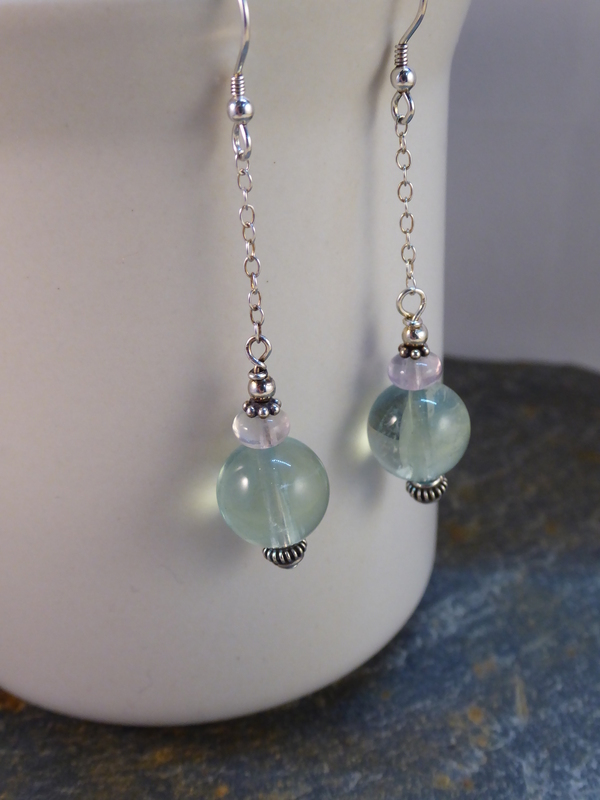 Length 35mm plus hooks. 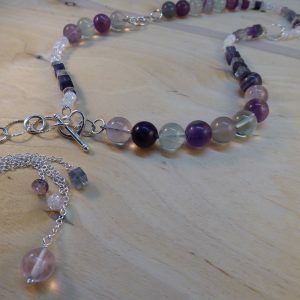 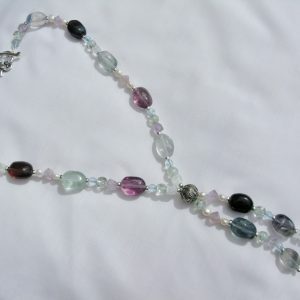 The earrings shown are green but any colour of Fluorite can be made to match a necklace or bracelet.